Freekbass releases new video, sit in with Umphreys, releases tour dates To submit a review for consideration hit us at lmnandr@gmail.com Check out the Live Music News and Review.com Facebook page for updates and announcements. Things have been crazy in the funky world of Freekbass. On August 19, Freekbass sat in with Umphrey’s McGee in Knoxville TN at the Tennessee Theater. Freekbass took the stage to perform with the band on Prince’s Controversy. 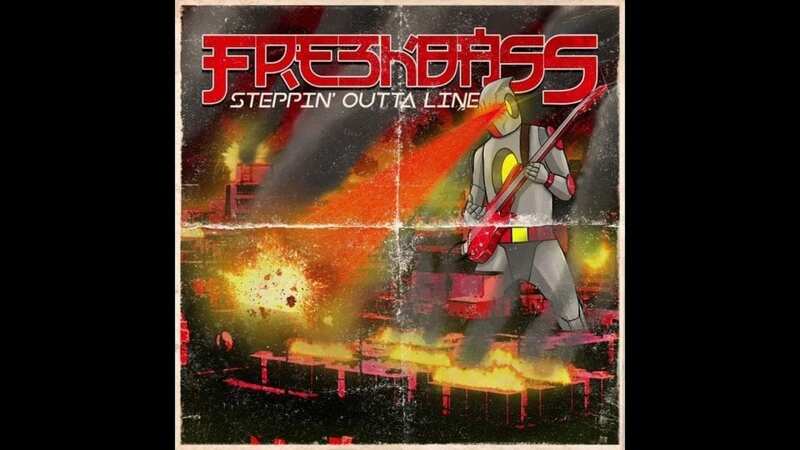 https://www.facebook.com/brook.duncan.75/videos/1078345645657575/?t=4 On August 20, Freekbass released the new video of the single Steppin Outta Line which once again features the addition of Sammi Garett on vocals. Sammi is well known from her presence in national funk jammers Turkuaz and released a video and single with Freekbass a few months ago titled Love in your Pocket. This year’s Summer Camp music festival included a performance by the full Freekbass lineup plus Sammi- that seems to portend mutual interests to come. Check out the gallery of photos from the Umphrey’s show here. The video was directed by Angie Wilson and the vibe and costumes are great. The theme seems to be a classic monster movie motif, with Freekbass playing the funky bass playing monster. And the feel of the video has an old school mid 1980s MTv vibe, you know when bands used to make fun music videos and a channel played them? https://youtu.be/YtQasLEamyE?t=4 This week Freekbass is heading out on tour with the Joe Marcinek band, and throughout fall and winter will be continuing to play in his own band, Freekbass- with some shows including Garett on guest vocals. Check him out and check in with your funkier self. Upcoming tour dates: Wed 08.22.18 Funk n Waffles Rochester NY in the Joe Marcinek Band Thu 08.23.18 Buffalo Iron Works Buffalo NY in the Joe Marcinek Band Fri 08.24.18 beWILDerfest Cincinnati OH as FREEKBASS Sat 08.25.18 The Adler Theater Davenport IA in the Joe Marcinek Band opening for Dr Dog. Sat 09.01.18 Peace of Mind Festival Lehighton PA Fri 09.14.18 Blues at the Crossroads Terra Haute IN Thu 09.13.18 Willy Town Music Festival Troy OH Sat 09.15.18 Paw Paw Festival Albany OH Sat 09.15.18 The Lost Paddle at Ace Adventure Resort Oak Hill WV Thu 10.11.18 Beat Kitchen Chicago IL Fri 10.12.18 Moonshiner’s Ball Livingston KY Sat 10.27.18 Andromeda Music Festival Nashville IN Sat 11.03.18 V Club Huntington WV Fri 11.09.18 Casa Nueva Athens OH Fri 11.23.18 Southgate House FUNKSGIVING Newport KY with special guest Sammi Garett Fri 12.21.18 The Livery Benton Harbor MI with special guest Sammi Garett Sat 12.22.18 Founder’s Brewing Co Grand Rapids, MI with special guest Sammi Garett Check out the gallery of photos from the Umphrey’s show here. To submit a review for consideration hit us at lmnandr@gmail.com Check out the Live Music News and Review.com Facebook page for updates and announcements.